We are the largest basement waterproofing, crawl space repair, foundation repair, and basement finishing company in Connecticut for good reason. We have provided quality restoration and remodeling services since 1987 and have served over 65,000 Connecticut and New York homeowners. 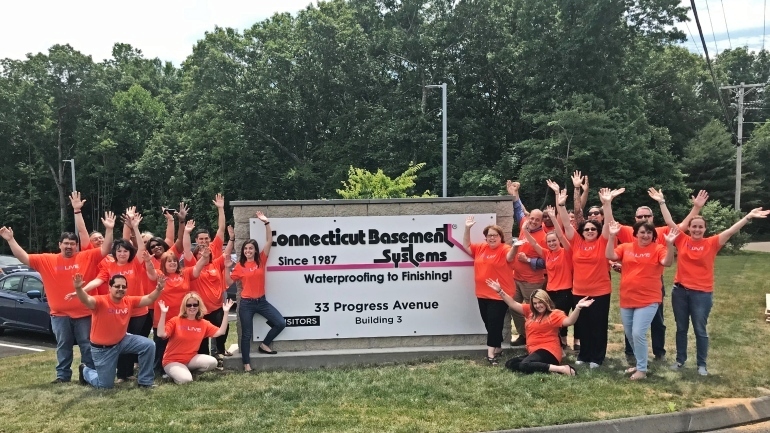 Through education and development, we at Connecticut Basement Systems want to improve the lives of our employees, customers, and ultimately, the world. Our years of service has solidified our reputation as an honest, sincere, and expert company. Contact us today to learn more – from the first call, you will be greeted by friendly and skilled professionals. Larry is at the hub of an award-winning and successful enterprise as the founder of Basement Systems Inc., Connecticut Basement Systems, CleanSpace, Total Basement Finishing and co-founder of Supportworks and Dr. Energy Saver. This exclusive network spans across the United States, Canada, the United Kingdom, and Ireland, connecting 400 dealers. Through business education and development, Larry wants to improve the lives of business owners, employees, customers, and, ultimately, the world! We know that our integrity and honesty has boosted our success as a basement waterproofing contractor in Connecticut. As a three-time winner of the CT Better Business Bureau's Torch Award for Marketplace Ethics, we truly desire to resolve your wet basement or crawl space issues. Also, eight of our sales representatives and service technicians were given CT BBB Superior Service Awards, as they repeatedly went above and beyond in assisting our customers. So, if you are interested in receiving a free estimate and inspection in your wet basement or crawl space, you can have the utmost confidence in the recommendations you will receive. Check out our A+ Rating on the BBB! "Max Biga was professional, knowledgeable and friendly. A..."
"Al and his crew were very polite, professional, and worked..."
"Maintenance by Daniel who was great"
"Bruce Toth was the Service Technician that came to our..."
Like most Connecticut waterproofers, we offer lifetime warranties on our solutions. Although, we understand that the best guarantee is the one never have to use – because if your home flooded then that means your system has failed. Our professional service department maintains your system, providing annual service and maintenance as needed, assuring it is in optimal condition for years to come. Company headquarters. 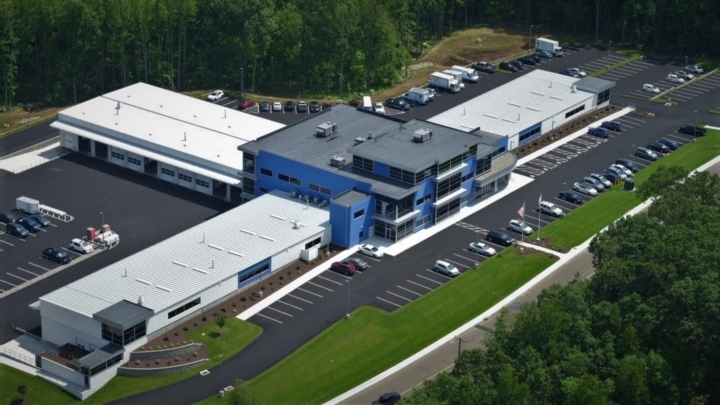 Connecticut Basement Systems' 96,000 square foot headquarters is located in the industrial park in Seymour, CT. Dedicated team. Employing well over two-hundred workers throughout four different buildings - we are fully-staffed to meet your home improvement needs. Since 1987, we have provided quality restoration and remodeling services to over 65,000 Connecticut and New York homeowners. So no matter the concern, you can have confidence in Connecticut Basement Systems. For more company information, be sure to check out our listings on Angie's List and Yellow Pages! Our reputation precedes us, so ask around and see how many of your friends' basements are still dry! We can also recommend disaster restoration companies throughout the state to help with water damage and mold removal. To learn more about our basement waterproofing, crawl space repair, and foundation repair services, please browse our website or contact us. You can also schedule a free quote – we service all of Connecticut, including Fairfield County, New Haven County, Hartford County, Litchfield County, Tolland County, Windham County, Middlesex County, New London County, as well as Westchester County, New York.